"Finding the volcada feeling in the walk"
You need to sign up in advance through the website booking form - preferable with a partner. Singles are welcome as well, but you take a little risk not to find a partner for the class. More info, videos & reservations: on the "Seminars‘ page. 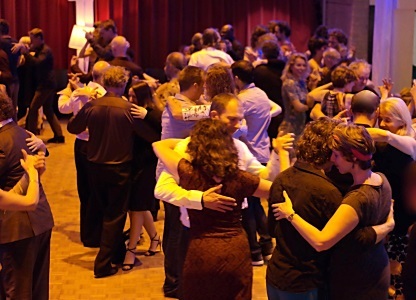 Taboe Milonga with special a (blind)speed-date tanda, a balanced mix of the most beautiful old and new tango’s with extra musical surprises in a relaxed and connected atmosphere. Check the all Taboe data below! We are so happy to present Roulotte Tango from France. Get a taste of how Tango was in the golden age. This orchestra has an amazing irresistible sound and is great to dance to and experience. They will play two sets for us and we promise an unforgettable Taboe Tango evening. Bring all your friends to enjoy this musical party.